If you are a voice changer software user, this will surely amaze you with the Nickvoice packs of Darth Vader, Morgan Freeman and Optimus Prime. 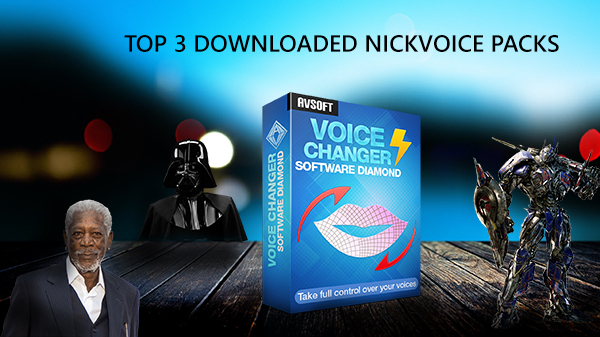 These are the top 3 downloaded Nickvoice packs that can help you change your voice immediately without having to do any complicated stuff. Voice Changer Software Diamond 9.5 is a software that can help you transform your voice to many other voices in real time. You can make a call on Skype, Viber, etc. with a changed voice and even voice effects, background effects and more. But did you know? The Add-on Store has many add-on for Nickvoices, Effects, sound packs to down for free. These are the most downloaded Nickvoice packs that can help you change your voice to Darth Vader, Morgan Freeman and Optimus Prime. With the current version voice changer software, you only need to pay attention to the .NVC files.